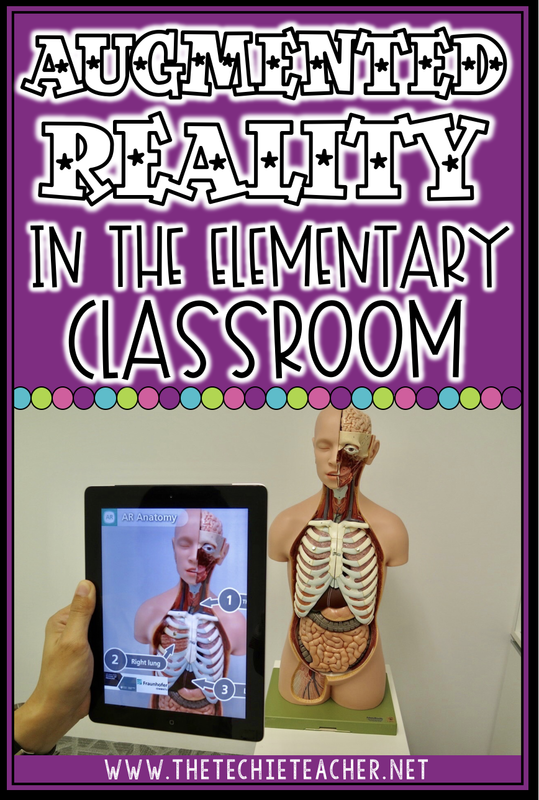 Augmented Reality in the Elementary Classroom | The Techie Teacher® . Learning experiences in education are rapidly evolving as augmented reality and virtual reality are making their way into classrooms. First, it is important to distinguish the difference between these two technologies. Augmented reality (AR) superimposes a computer-image overlay on an existing environment. For instance, Abraham Lincoln's log cabin can pop up in the middle of your classroom using AR Flashcard's Abraham Lincoln app. Virtual reality (VR) is more immersive in that it takes us some place else usually by using VR goggles or glasses. An example of virtual reality would be diving deep into the ocean to swim with sharks and experience the ocean habitat using Google Cardboard's VR Abyss. Both AR and VR provide unique learning opportunities that children would never be able to experience just by reading a textbook or visiting a website. 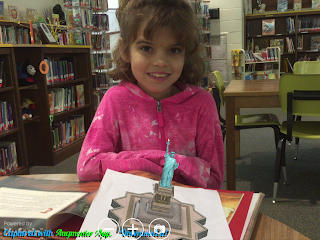 This post focuses on how educators can use augmented reality to help support instruction. I was first introduced to AR in 2013. Tyler Hart, an ITRT I worked with in Virginia, showed me how to use the app Aurasma (now called HP Reveal) to make any image (photo, piece of artwork, student writing, ANYTHING) scannable and come to life with a video overlay. 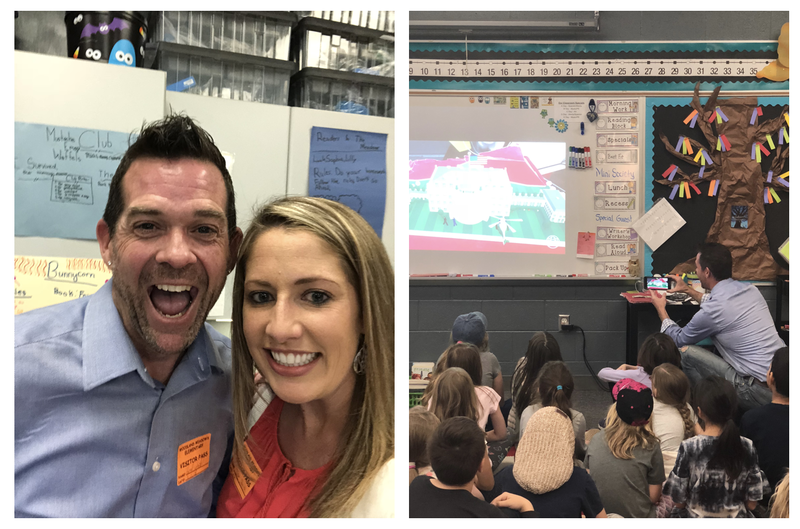 The first project I did using this app was with Mrs. Johnson's 3rd grade class in which we turned her classroom into an augmented playground for parents to interact with when they came to Meet the Teacher Night. Students created informative videos about different areas of their classroom. For instance, parents would scan the student goal chart that hung in the back of the room and a video of a student explaining how they can earn stickers for crushing their math goals would pop up. The parents loved it. However, Mrs. Johnson was extremely tech savy so she was ALL IN....I knew I needed to start a lot smaller with the more reluctant teachers I worked with at the time. Therefore, I set out to find easy yet effective ways to use AR in the elementary setting that would peak both teacher and student interest so I could then build up to students creating their own AR experience for others. 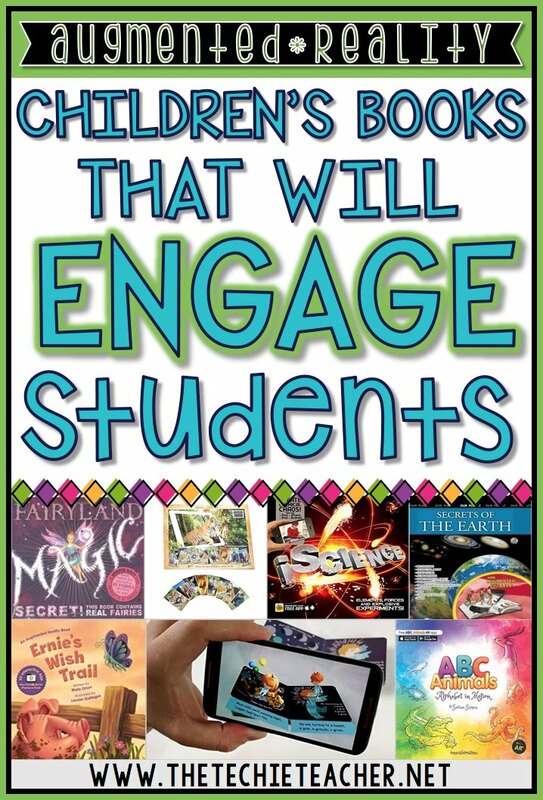 Using these AR books is a great place to start because you can integrate them into your reading, writing, science or social studies block. Students can hold the solar system in the palm of their hands. 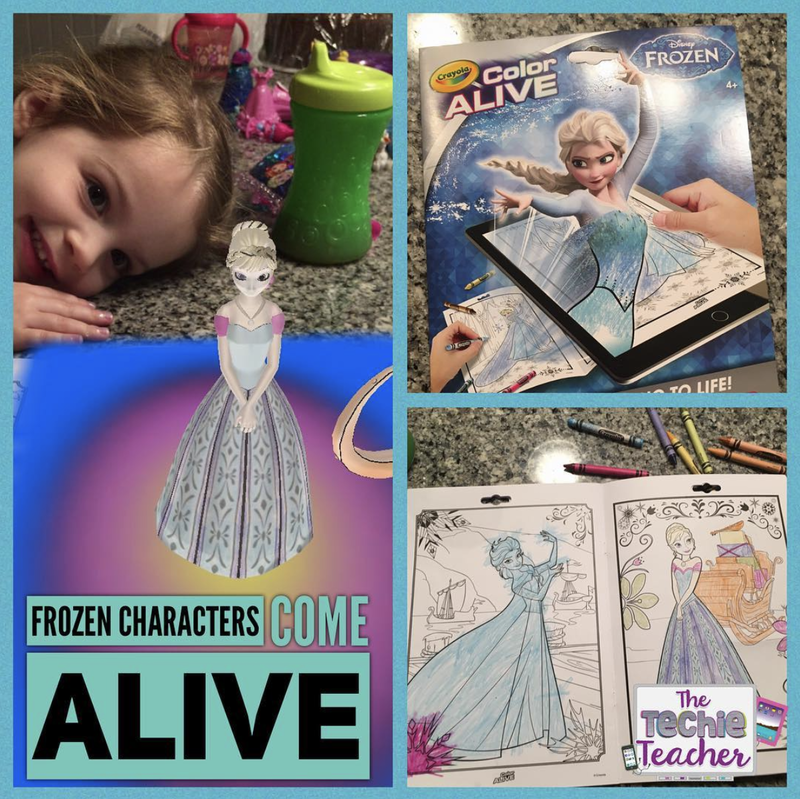 They can watch the main character of a story come to life and move around. They can experience a giraffe eating leaves from the top of a tree in its habitat. All you do is download the app that comes with the book and scan the trigger images that appear on each page. To see it in action head over to that blog post! If you celebrate Dot Day then you need to download THIS AR activity in which students design their own, unique dot and scan the sheet to bring their creation to life. 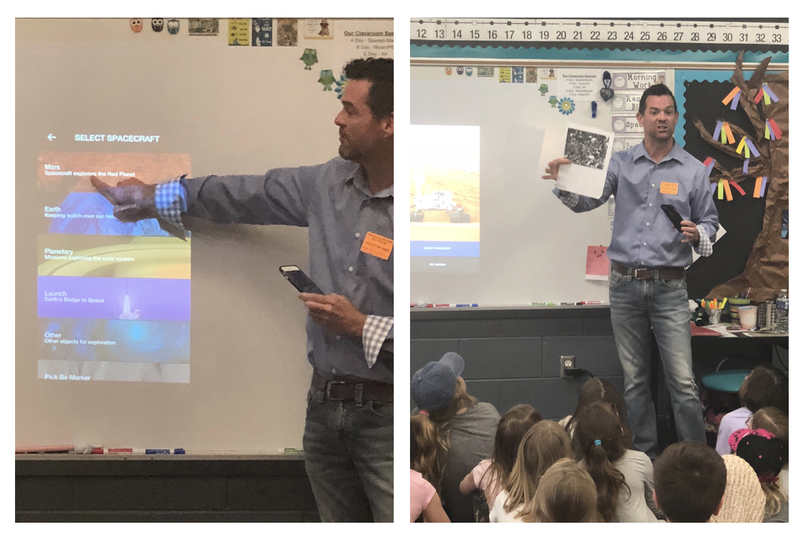 This past Friday Brad Waid met me at an elementary school here in Saline, Michigan and we went in to 2nd & 3rd grade classrooms in which Brad presented AR to the students. He then showed us NASA's Spacecraft 3D that allows you to learn about and interact with different space crafts just by scanning a printable trigger image. There was also some Top Secret AR goodness that Brad shared and all I can say is WOW. Technology advancements are developing rapidly..it's mind blowing. I asked Brad about creation tools for AR that are alternatives to HP Reveal. He said unfortunately his very favorite, DAQRI, has shut down. Metaverse was mentioned but Brad said DAQRI was the ultimate. I haven't had a chance to try Metaverse yet but it is on my to-do list! Zapworks, CoSpaces and AugThat are others I would like to try out in the near future. Do YOU have experience with these AR creation apps or know of others? I would LOVE to hear from you in the comments below! Many educational apps for the MERGE Cube have already been created for the elementary classroom and they continue to create more! Keep up to date on all of the latest happenings in the MERGE for Educators Facebook group. Here is a quick video I published on my Facebook page using the Galactic Explorer app. Kristen Brooks shared a really cool project on Twitter in which her students used the Merge Cube to make green screen videos! Click HERE to see a list of the Merge Cube educational apps. I'm excited to continue to explore using augmented reality in the classroom. There is so much I still have to learn!